Katie is an experienced private client solicitor who undertakes all areas of work in this area including Wills, Estate Planning, Lasting Powers of Attorney, Protection of Assets and Trusts. 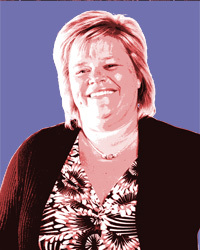 Katie attended university in 1988 and qualified as a solicitor in 1992. Katie is a member of the Law Society’s Private Client Group and seeks to support clients as they make decisions that may impact on their quality of life in later years and also what should happen to their hard earned assets in the event of death. Katie always seeks to provide clear and practical advice regarding the options open to client to ensure that once the work is complete clients can relax knowing they have made the correct and informed choices for both themselves and their families. Difficulties at work or losing your job can be one of the most stressful experiences an individual can have given the impact it can have for a person both financially and emotionally. This is something that Katie recognises and she allows time to clients to express themselves to enable a result to be reached that the client can embrace and then move on from. Katie advises clients regarding unfair dismissal, wrongful dismissal and settlement agreements and also on workers rights generally. For employers it is important to provide a framework that can provide clarity for both employers and employees to try and prevent conflict in the workplace. To this end, Katie can advise on terms of employment, disciplinary & grievance procedures and provide advice on good practice in the workplace generally. If issues do arise, clear advice regarding procedure and probable outcome will be provided.